Mama Love: Onesta Hair Care Review and Giveaway! 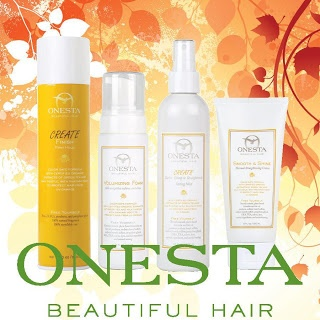 Onesta Hair Care is a line of hair care products that doesn't use harmful chemicals in their formulas. Onesta wants to provide their users with something gentle but yet effective, and that will leave your hair healthy and looking good. There are so many unnecessary and potentially harmful ingredients in other haircare products these days like dyes, Parabens, and other unpleasant things, but with Onesta You get Quality Hair care with a Natural Product! contains certified organic extracts of Honey, Sage, and White Willow. These moisture-rich extracts are known for their ability to repair and revitalize dry, damaged hair. nourishes dry, damaged hair with certified organic extracts of Aloe Vera, Nettle, and Thyme. These extracts work together to repair and moisturize dry, damaged hair without weighing it down. 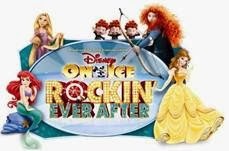 My Experience with these products was great! The Shampoo and conditioner left my hair healthier looking than ever! (Oh and these products smell wonderful!) Before my hair was frizzy, I have way thick long hair, and after the first time using this product I noticed an instant difference, My hair was softer shinier way more manageable and it felt lighter! I didn't even have to style my hair after using these products I literally washed my hair before bed and woke up to good hair and my hair is naturally curly/wavy so usually when I wake up after sleeping on it wet it's a mess, so needless to say I was Very Happy!! Overall if you are looking for a green alternative without losing quality for your haircare Onesta is a great product that works wonderfully! Onesta Has offered one of you Lucky Readers a Chance to Win your very own Onesta Product! Sweet giveaway and review! I've been wanting (and needing) to try Onesta for awhile now! I went platinum for the 1st time ever, and my hair is fried!! I really like what you've acquired here, really like what you are saying and the way in which you say it. You make it enjoyable and you still care for to keep it sensible. I can not wait to read far more from you. This is actually a wonderful web site. I'm curious to find out what blog system you happen to be utilizing? I'm experiencing some minor security problems with my latest site and I'd like to find something more secure. Do you have any solutions? It's actually a cool and helpful piece of information. I am satisfied that you simply shared this helpful info with us. Please keep us informed like this. Thank you for sharing. Visit my blog post ... Internet Money Path Work for yourself! I'll make sure to bookmark it and come back to learn more of your useful info. Thank you for the post. I will certainly comeback. position with 'Halo 3' in second. The Grand Theft Auto activities are for huge kids and not for younger children. be a great author. I will ensure that I bookmark your blog and will often come back later in life.